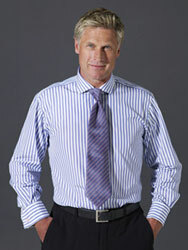 Lilac is one of those subtle colours that lends itself well to a shirt. It can be used to compliment or contrast with most suit colours, and makes a change from standard white or cream. 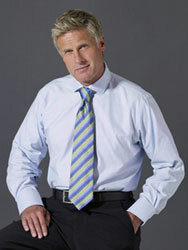 This shirt works just as well without a suit when dressed down with jeans and a jacket. Made using our popular 100% cotton poplin, this is a great all-round shirt thanks to its light weight and breathability. Helping you keep your cool during those stressful situations and the hot and sticky summer months. For that extra special touch of having your shirt exactly how you like it, we offer a full hand-tailoring service based on your specifications. Whether you want short sleeves or long, a pocket or even fancy a change in cuff style, we can take care of that for you when you select your preferences using the menus above.